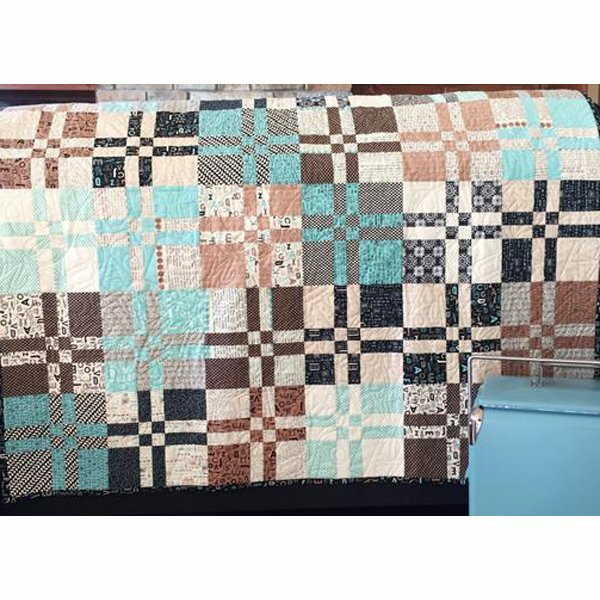 This lap quilt uses assorted 10" squares and a fast and fun disappearing block technique. Cutting is easy with either the Stripology or Stripology Squared ruler by Creative Grids. Use a Layer Cake or scraps.